Isn’t it amazing that Jesus felt what we feel. That’s the reason why I can relate to Jesus Christ, and it’s because He understands. God isn’t some dead inanimate object. It angers me when foolish people mock Jesus. Foolish people mock Jesus, and they think it’s a joke. If such people do not repent it really would not be funny on judgement day. The bible says only fools say there is no God. Hell is not a fun place, but a fool believes so. I think it’s about time that Christians speak The Word of God as it is, sharp, blunt, no sugar coating. Continue to stand for righteousness. Stand for Jesus Christ, and be unashamed of the gospel. I want to remind you that to be unashamed of the gospel means to share the good news, and not shy away from it. I’m telling you the truth if you are ashamed of Jesus, then Jesus will be ashamed of you on judgement day. It really does not matter that the world loves and knows you, if God does not then you are doomed. If you mock Jesus, then satan will mock you in hell. Yes there is a heaven as much as there is a hell, and if we do not repent then that’s where we will go. God is love, but He hates sin. God will never ever ever love sin. Hell is a place for sin. If you do not wish to go there. Do you know many Christians do not fear God. Many Christians are living their own kind of Christianity, the kind that suits their own lifestyle. The sinner will be judged. Forget about man judging you. God will judge the sinner who does not repent, and does not turn away from sin. There is condemnation for sin. There is now no condemnation for the sinner in Christ Jesus that repents!!! Do not be ignorant, do not be so easily deceived. The world mocks Jesus, but many Christians are doing the same. Christians mock Jesus when they live to please themselves and not God. It’s even difficult to tell the difference between a Christian and an unbeliever these days. It’s just so easy to say “I’m a Christian”, so very easy. God sees what we do in secret. There is really no point of pretending. A Christian that fakes their way to heaven will find themselves in hell. Can an unbeliever go to heaven? The bible states very clearly that the only way to receive eternal life is through Jesus Christ. So why are many believers struggling to answer this very question? Why do you say I don’t know when the bible states it very clearly?! What Christian life are you living? A life that pleases God, or a life that pleases you? If you are a Christian and you are living a life that pleases you and not God, then you are no different from the world. A Christian is different full stop. A Christian is different because they are set apart. God is love, but His love does not make you comfortable in sin. God’s love convicts you out of sin. God’s love is not to be compared with the world’s version of love. There is no time to play games. You can’t tell me you’re a Christian yet you agree with the strange laws of the land. You can’t fuse the world with The Word of God, the two just don’t mix. You know you really just need to make up your mind. 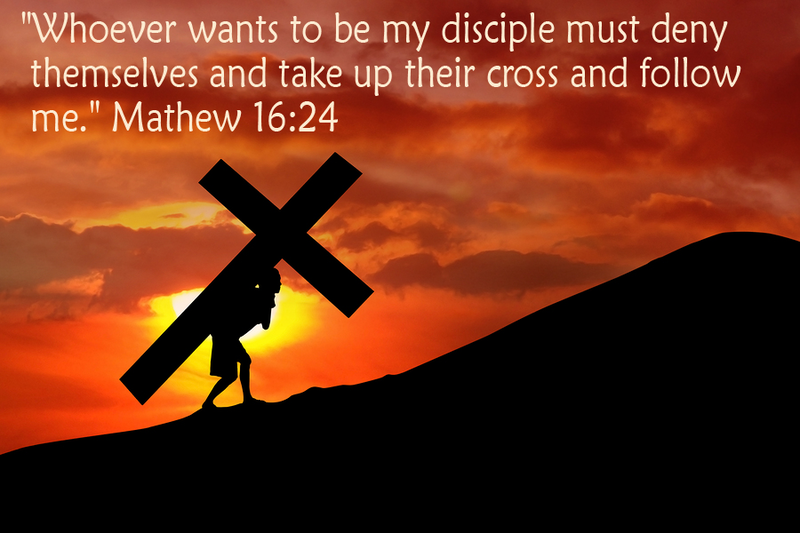 If you are then pick up your cross, and follow Him. 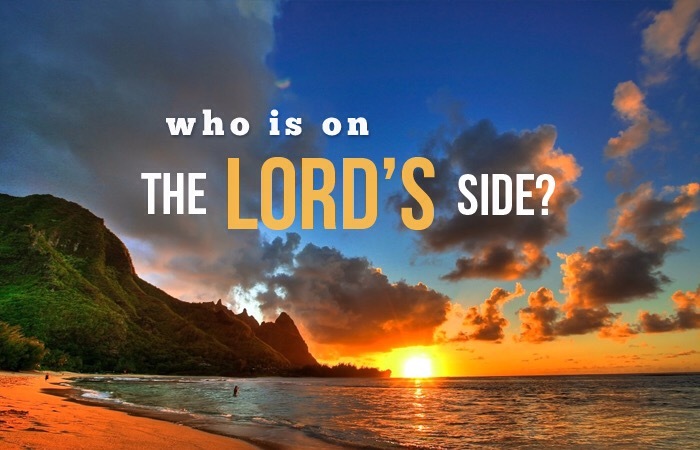 Yes, if you are on The Lord’s side then be ready to face persecution for His Name’s sake. 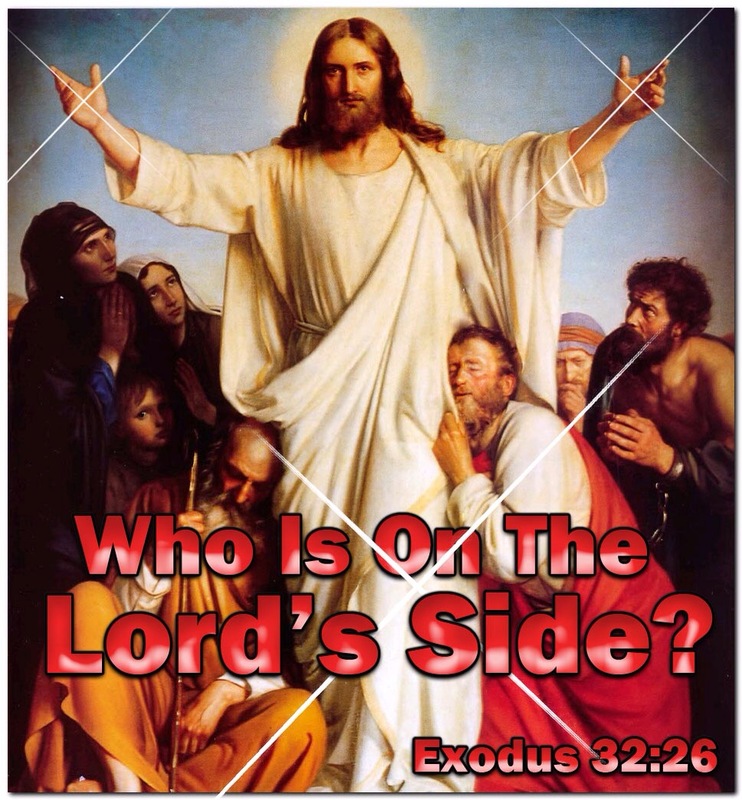 If you are on the Lord’s side then be ready to die to self. You can no longer be of this world. Don’t just say you’re a Christian, it’s not enough. You are no different from an unbeliever. In these last days it’s really just not enough anymore. You have got to choose before it is too late. Look at all that is going on around you? Christians why are you playing games with God? Have you no fear for Him? People are disappearing, dying, being persecuted. This life on Earth is so temporal. Christians we need to give our lives to Christ. The reason the world cannot take us seriously is because we do not stand for righteousness, we compromise truth, and we live just like them. These days when I sin, I’m afraid. I cannot sin and go to bed just like that. I repent even for the things that I am unaware of. I don’t know my beginning and I do not know my end only God knows. God is the author and the finisher of my faith. Imagine the believer who has dedicated their life to Christ, but their heart was never with Him. You can be doing so much for God, but if your heart is not with Him He will not recognise you on the day of judgement. It’s true that many preachers are in hell, and that is scary! It’s just not enough to say I’m a Christian. That’s why a murderer and an adulterer can boldly be described as a man after God’s own heart, because God saw that man’s repentant heart. The righteous are those that repent. No wonder God says work out your salvation with fear and trembling. You can be doing the most for God yet your heart is elsewhere. You can be attending church every Sunday yet never adhere to The Word of God. Saying you are a Christian is just not enough to get you into heaven. Many Christians do not even know The Word of God. No wonder the world mocks us. There are also the Christians who love to give their opinions and not The Word of God. I stay away from that nonsense. Be careful of such in these last days many preachers are giving motivational speeches, feel good jumpy messages, but no biblical Truth. Many teachers are teaching on how to get instant wealth, but not on salvation. Be careful of such in these last days. Where is the evidence of His power in these last days? In the book of revelation there are seven churches, and only one is faithful. That should tell you something, there are many sheep in wolves clothing. There are Christians who love to mix The Word of God with all sorts of theologies and philosophies. Do not be entangled in such nonsense. Hmmm it’s just not enough to say I’m a Christian anymore. Do you know why you must pick up your cross? Because Christianity is not easy. Look at the life of Jesus Christ, and then you’ll understand. You must die to self before you receive life in total abundance. You must pick up your cross because long suffering is a fruit of The Holy Spirit. You must pick up your cross, and leave the world behind you. That’s the life of a Christian. Enough of the sugar coated mess that embraces me but not Christ. It’s Jesus that you must have, not me I am just a vessel. I am angry with all that sugar coated nonsense! In these last days we need messages that convict. The In these last days we need to see the power of God! In these last days The Lord must arise and let our enemies be scattered! I question I ask The Lord why can’t we see more of the signs and wonders of the 1st century church? Look at the many signs and wonders that took place in the Old Testament, why can’t we see more of that now? We have the Spirit of God! Unbelievers in the days of old they witnessed the glory of The Lord, and they feared Him. A Christian should be hungry for the things of God, and not for the things of this world. Christianity must no longer be a joke, we need a revival! If you are, then leave the world behind. I have decided to follow Jesus no turning back. The cross before me the world behind me. We have the Christians who get angry and offended because Truth is being shared, and they want to argue with it.👀👀👀😊😊😊😊😊. A Christian who argues against Truth, is a Christian who is comfortable in their own sin. Love them with prayer, and leave them to God. REPENT, and be about your Father’s business, else PERISH!!! Many ‘Christians’ get offended when rebuke them in love, they say things like “only God can judge me”. They are just comfortable in sin. They just don’t understand the extent the seriousness of God’s judgement. Let me tell you it is better to be rebuked in love, than for your brethren to leave you to sin, only to face God’s judgement. God’s judgement is hell if you do not turn away from sin, and if your brethren leaves you to sin then they will also be condemned. This is all in His Word. So don’t be angry when you are rebuked in love, it’s better to be rebuked in love than to be encouraged to eternal damnation. That saying ‘Only God can judge me, ‘is the reason why the world makes a mockery of Christianity, it’s the same thing the world says, and they do not even know God. The Truth should convict you to turn away from sin, and not persuade you to feel comfortable in sin. Too many silent Christians in these last days, and far too many loud unbelievers. The Lord is not pleased. Stop trying to fuse satan with Jesus Christ with the hope to save somebody. You can’t save anyone, but you share the gospel, you can intercede, you can pray. Remember God can only convict. You don’t need to compromise, you don’t have to become someone else. You just do what The Lord is telling you to do. Be bold, and always know that The Lord is with you. Do not be afraid, do not worry for you are more than a conqueror. You have the power to overcome the devices of the enemy. It is never too late to repent, it is however on judgement day. Call out to The Lord whilst He is near. Christians give your lives to Christ once and for all! Be discerning, and live to please God not man. God comes first, if it compromises your Christian Faith then it is not worth it. The Lord is your help, He will deliver you out of evil, out of trouble, out of temptation. Look to Jesus the author and the finisher of our faith. We are in the last days and now is not the time to play games, with our Christianity. If you are then pick up your cross and follow Him. Who will be bold enough to stand for the gospel for Jesus Christ, and leave the world behind? Let The Word of God be the very foundation of your life. This is real. I am touched, awakened and strongly motivated. Stay blessed and keep up the good work of the Lord. Aww thank you for your encouraging words. We thank God for His Word, and I’m glad it blessed you. Great word, highly motivating. God bless you for sharing. We thank God for His Word.